The Asia Pacific Journal of Educators and Education (formerly known as Journal of Educators and Education) aims to promote the professional growth of educators and to improve the quality of education. To stimulate discussion on educational issues and problems. To offer ideas on teaching and learning in schools. To contribute towards the solution of educational problems in schools and institutions of higher learning. To disseminate information on educational events and opportunities available to teachers and teacher education. 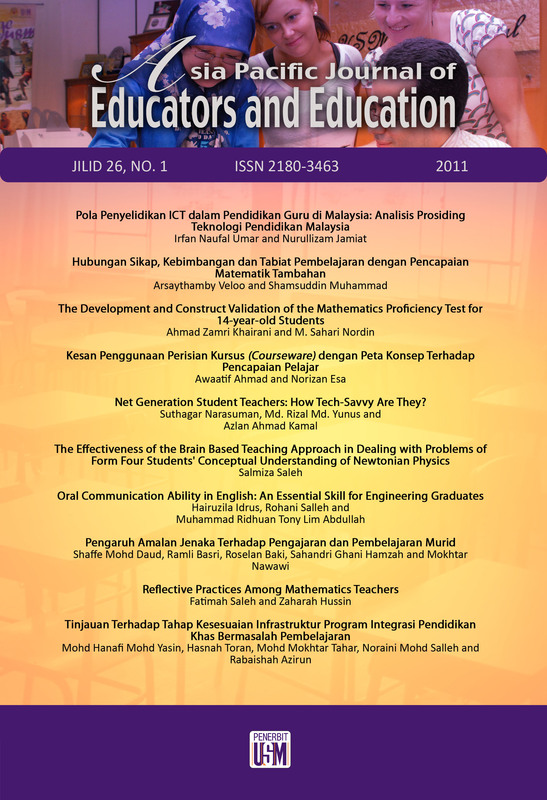 All articles published in Asia Pacific Journal of Educators and Education are licensed under a Creative Commons Attribution 4.0 International License. Copyright © 2011 by Penerbit Universiti Sains Malaysia. All rights reserved.